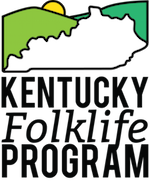 This weekend, the Kentucky Folklife Program was excited to serve as a regional host partner for the Kentucky Rural-Urban Exchange (RUX). With 65 RUX members from across the Commonwealth in attendance, this past weekend was spent learning about the history, culture, identity, and landscape of South Central Kentucky. To learn more about KFP’s role in RUX, visit our KFP/RUX program page. To see photos from our weekend, check out a collection of our instagram posts below!